My fridge is back from the dead!!! It magically came back to life while I was away in Pittsburgh (weird right?) and the Sears technician thought I was crazy when I explained that it stopped working for most of last week. Anyway, it's now working and I can restock it with food instead of eating out every day! I excluded my treadmill run since that was such an outlier and I don't normally run on the treadmill. 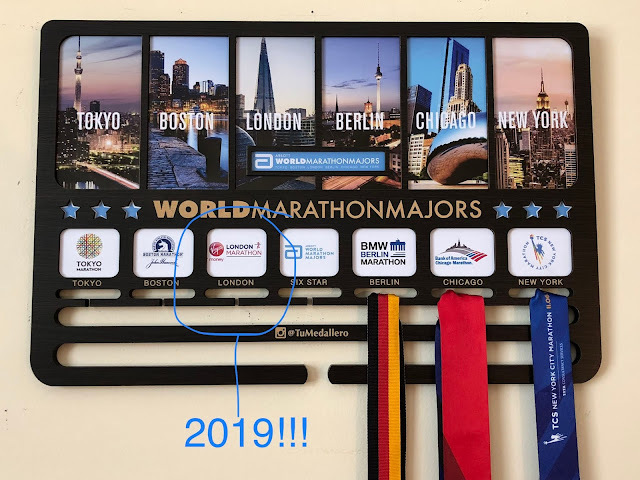 And I excluded the run on March 1st since that was when my Garmin decided to slip into a coma while I was running and I lost all my data and had to enter info manually. So for the last ten runs I had 4 that were at a sub-10 or close to 10 min/mile pace; 5 runs that were close to an 11 min/mile pace; and 1 run that was at a 12 min/mile pace. 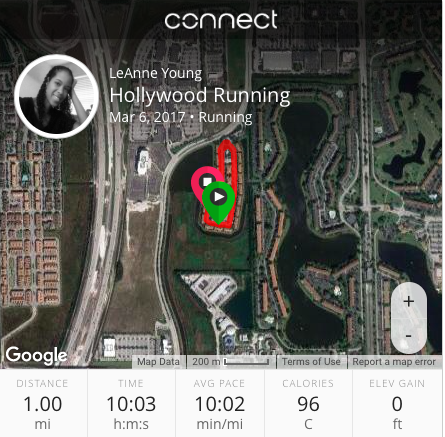 All the sub-10 or close to 10 minute runs were done in the morning; the 11 minute runs were done in the evening or at night (with the exception of the Feb 17th run); and the 12 minute mile was an evening run. There was no consistency in terms of the day of the week (so I don't have a "this is my faster day" theme going for me) and even my "max speed" isn't consistent since my 8+ minute times are seen with both the faster runs and my 12 minute mile run. My "running coach" suggested that I keep track of how much sleep I'm getting and what I'm eating, but I know that's just his way of getting empirical evidence that I need to sleep more and eat better (apparently I'm stubborn and don't listen to reason... who knew? 😉). To be fair, I have been thinking about improving my eating habits. I mean, just today I made the healthy decision to only get small fries at Chick-fil-A. And I didn't even ask for extra sauce today cause I knew I had sauce at home, and I resisted my normal urge to "stock up on Chick-fil-A sauce in case we go to war and food gets rationed". It's a fairly accurate reflection of recent conversations with myself and my body, especially today since I'm still fighting this cold 😷. Kai advised me that my coughing sounds like I'm "coughing up a category 5 hurricane". The compassion was overwhelming. Anyway, in the interest of not causing a natural disaster in my own house, I'm going to try and go to bed earlier and get more sleep tonight. Tomorrow I'll fill you guys in on stuff I'm thinking about doing for International Women's Day (March 8th 2017) 😊. 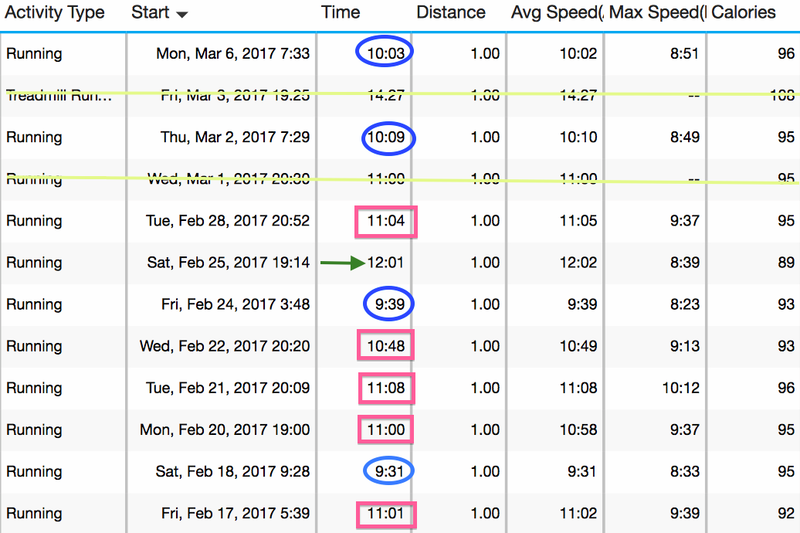 What do your last ten (any distance) runs look like? Did you maintain a consistent pace? Are you participating in (or supporting) International Women's Day activities on Wednesday? 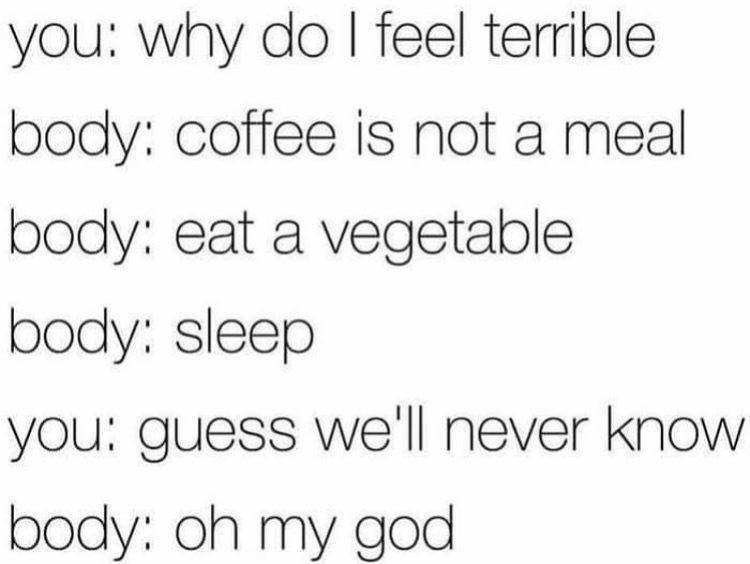 Yes coffee is absolutely a meal!! LOL!! So it looks like all your faster runs were in the morning?? That is interesting! I love getting the run done first thing in the morning.